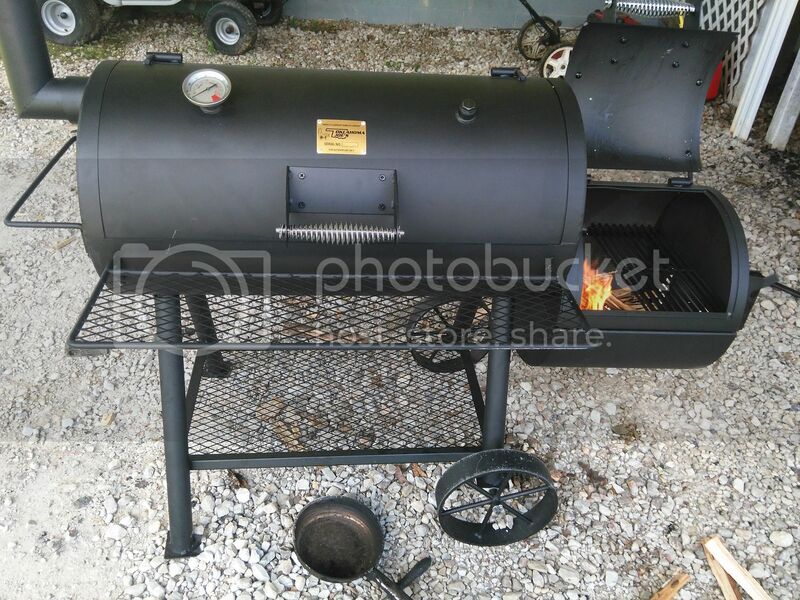 After months of extra chores and foot rubs (and lots of whining) Mrs. Tejano authorized the purchase of a new smoker. So this morning I went out to my local Wally-World and picked up the last in-stock Oklahoma Joe's Highland. I also got several feet of the gasket smoker seal. I was unable to find any high temp silicone adhesive. Opinion: should I go ahead and start assembly or order the adhesive from amazon and wait? How much of an advantage will the adhesive provide? And what other mods should be made? Congrats on your smoker! Most Walmart's I've been in that have an automotive section have stuff that will work. Look for Permatex brand gasket maker. It's just under $6/tube. They have red which is labeled hi-temp. They also have black which is not labeled high temp but I looked up the specs and the black has the same 1200 degree rating as the hi-temp red does. I've had the Permatex black gasket maker holding seals on the doors on my smoker for about a year now with no issues. Finatic, thank you for the input. Greatly appreciated. Tejano0369 wrote: Finatic, thank you for the input. Greatly appreciated. almost ready. letting the sealant and tape set. Woohoo!! I've got another on team highland!! Txdragon, I used the gasket tape on the doors, but it didn't seal as much as I wanted. So I might go back and put a bead of high temp silicone between the tape and the lids, to see if that will fill in the small gaps. you can see some of the smoke leakage on the fire box door. there was also a little bit of leakage around the main door. Yeah. The firebox lid will start to warp after a couple good fires. I use a hatchet to bang it back down a bit. Lol. I'm planning on fireplace gaskets with silicone for the lids. I figured I'd try some foil intermediately. Haven't done that yet though. Txdragon wrote: Yeah. The firebox lid will start to warp after a couple good fires. I use a hatchet to bang it back down a bit. Lol. I'm planning on fireplace gaskets with silicone for the lids. I figured I'd try some foil intermediately. Haven't done that yet though. You have a hatchet as an accessory?, lol, I'm not coming to one of your cooks.!!! It's multipurpose; it will chop up kindling or snakes!! How's the Highland treating ya?